all my favorite words in one product! I'm so getting one when it hits Manila shores. Mineral Mouse Foundation has been but a dream for me but sadly it isn't out yet here. Saw this in an international beauty blogger site and she seem to be liking the effects. I am hoping that I will love it as much as I do my Maybelline Liquid Foundation. :) Although I feel it wouldn't be too hard since, like i said, all my favorite words describe this product. 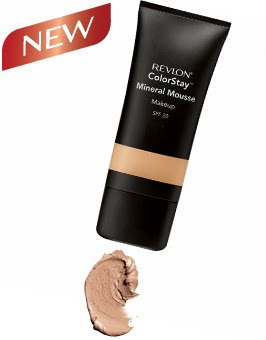 Colorstay - judging by the line in which this mineral mousse is included, then I think it will superbly last in my oily skin. Mineral - even if I am equally in love with my traditional makeup foundation, mineral is still the next best thing that happened in cosmetics. Mousse - has the consistensy to blend well on to my skin. i love the matte finish of a mousse foundation and provides better coverage.